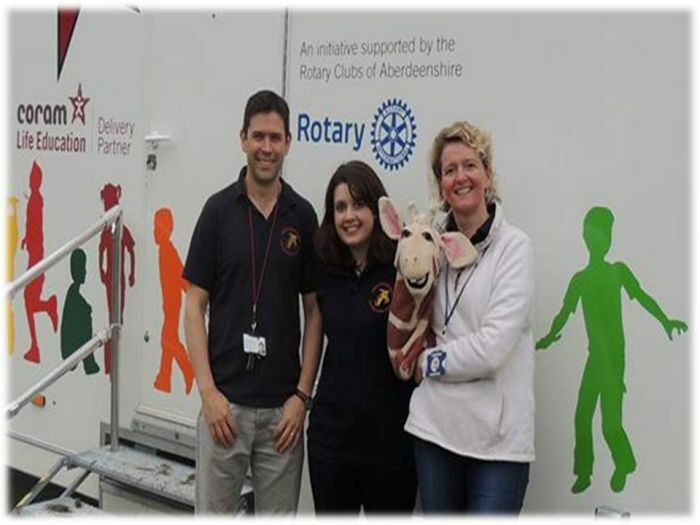 Aberdeenshire Life Education Centres, or ALEC as it is more often referred to, is a Rotary lead charity and Delivery Partner of Coram Life Education, working in partnership with Aberdeenshire Council. We work with schools, parents and the community to ensure that children develop the vital knowledge, skills and attitudes they need to make informed choices about their health. ALEC is always striving to develop and improve the service delivered. In recent years, programmes delivered from nursery to S2 have been updated. Nursery to P7 sessions have been aligned with Curriculum for Excellence experiences and outcomes. In partnership with Aberdeenshire Council and Coram Life Education, ALEC have been in involved in the development of a set of new programmes and resources specially designed to meet the needs of secondary pupils with additional support needs.